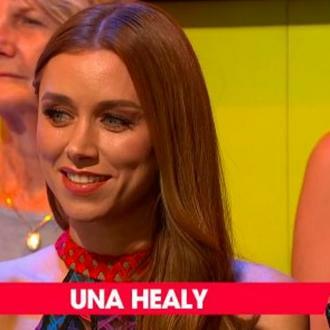 Una Healy would love to work on a dance track with the likes of Sigala or Jonas Blue. Una Healy is ready to become an EDM star. The former Saturdays singer's debut solo album, 'The Waiting Game' had a country and folk vibe but she is keen to try something radically different in the future. The 35-year-old beauty recently admitted she is keen to reunite with The Saturdays - who went on hiatus in 2014 - eventually but doesn't think it'll be in the near future. She said: ''I always say when the nostalgia kicks in, that's when bands reform and I hope one day we will, but it won't be for a few years. Despite this, Una insisted she was relishing the experience of being a solo artist, explaining it gives her the opportunity to indulge her own specific tastes in music. She added: ''It's so me, totally. The whole album is about my life ... now it's unleashed to the world. I feel I've done a full circle.